With U.S. mobile commerce sales projected to hit $57.8 billion this year, nearly every major retailer understands the necessity of a solid mobile strategy. But some are still struggling to answer the question: Should my mobile retail strategy include a mobile website or an app? 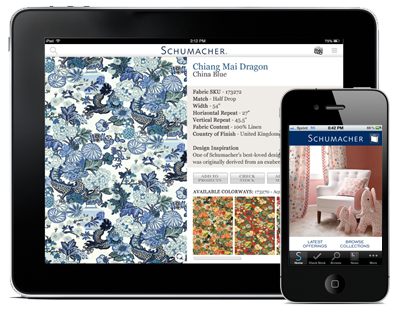 Having a mobile site is now standard for businesses in any industry. 91% of consumers say access to content any way they want it is important, according to ExactTarget. Even the most basic mobile website gives customers easy access to your brand, with mobile-specific features such as store locator and click-to-call. Not having a mobile site, or having a poorly functioning mobile site, doesn’t only frustrate customers, it often drives them to your competition. A recent study by Latitude revealed that 61% of consumers have a better opinion of brands when they offer a good mobile experience, and Google reports that 40% of mobile consumers turn to a competitor’s site after a bad mobile web experience. While it is tempting to build a mobile site with sales conversions in mind, the goal of your mobile website should be to increase visibility, strengthen your brand, and provide a seamless customer experience. The conversion rate will be lower than on your tablet and desktop sites, but you’ll be providing your customers with an increased level of availability and service. A mobile app, on the other hand, will provide conversion rates five to six times that of your mobile site. Apps – when well-executed – provide value above and beyond a brand’s mobile website, including enhanced features such as a mobile payment option and stored account information. As more retailers shift their concentration from gamification and flashy design to features supporting functionality and convenience, app usage continues to skyrocket. In fact, a recent Flurry study reported that consumers spend six times as much time in retailers’ apps now compared to a year ago. Another factor making mobile apps a ‘must’ is the ability to send push notifications. Coupons, deals and announcements sent via push offer retailers precise targeting capabilities that other mediums lack. Plus, the likelihood that a consumer will ignore the push alert is astoundingly small. Search Engine Journal reports that coupons via push notification are redeemed eight times more than e-mailed offers. The primary goal of your mobile app should be to enhance your customers’ experience. While m-commerce is on the rise, apps are most commonly acting as a companion for the in-store experience. Features like Store Mode, Assist Me, Product Search and Scan Item can serve to personalize the consumer shopping experience.